Feel Free to Give Us A Call (1-800-823-9501). Cottage Connection of Maine, Inc. (CCM) is a family-run and locally owned and operated vacation rental marketing and property Management Company that provides “Special Places” (privately-owned homes) throughout Mid-coast and Central Maine as well as a log cabin in Vermont. We’ve been passionate about vacation planning since 1993. With thousands of happy customers and hundreds of happy owners (over the years), we want to add you and your family and friends to our family. Give us a call, ask our advice, we are a wealth of information. We care about helping you find your “Special Maine (and Vermont) Place”. What is a “Special Maine Place”? All of our cottages are individually owned and furnished to each owner’s taste and then we add our unique and caring servicing of the property and to you, the guest. This is what makes our places special for a true Maine Vacation Experience. Some cottages were built in the early 1800’s and others just a year or so ago. The style, furnishings and amenities are dictated somewhat by when they were built and their location. While all have basic life safety items (smoke detectors, CO detectors, Fire Extinguishers and the like), some don’t or can’t have a washer or dishwasher because they have wells or a close proximity to the water. We know that this really doesn’t matter when you wake up next to the ocean, river or lake to relax for a week. Many of our cottages have been passed down from generation to generation (called Generational Cottages) and so are only rented for a few weeks to help offset the costs of keeping this treasured vacation spot in the family. Other cottages have been built to be a summer home now, but, a full time home at retirement (Retirement Cottages) (these are often the newly built cottages with all modern amenities). The Generational Cottages are full of treasured photos evoking memories and mementoes left by each generation. You will find photos of the family enjoying a day in the yard, or a meal around the table or perhaps some shells or rocks collected at the beach. Maine is a very special place and has been to vacationers for hundreds of years. We have been sharing our homes, our cottages and our “special Maine places” with people for generations. Maine, known as Vacationland, is just that- a place to vacation whether in a small cabin in the woods, or a large estate on the ocean, we have something for everyone and in almost every price range. So, come see why Maine’s slogan is “the way life should be”. Our cottages are all privately-owned homes. These are not hotel rooms but unique and special places. We are here to help make sure you are connected with the cottage that fits you and your traveling companions! Please be sure to tell us about your group allergies, mobility and accessibility issues. 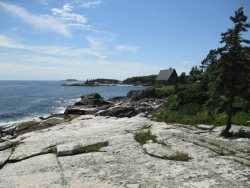 There are several ways to book a cottage with Cottage Connection of Maine (CCM). You can peruse this website, www.cottageconnection.com. Keep in mind that in Prime Season all properties are rented by the week on a Thursday, Friday or Saturday schedule. To make the “search system” on our website work correctly you will need to search by those specific dates. If you click on the “Vacation Rentals” Tab you can choose from viewing all of our properties or select from Waterfront, Lakefront, Oceanfront, Water views, Near Town, Large Families or Reunions, and more…. If you find what you want on the website, then just click either the “Estimate” button or the “Book It” button and follow the prompts. A great way to book is to call our office at 1-800-823-9501 and speak with one of our Vacation Rental Specialists. They have been in each of our properties and so know them well enough to answer most of your questions. Mobility issues, pets, allergies and activities should all be discussed. Another option is to send us an email: [email protected] with your requirements and we’ll be happy to send you some suggestions. You can share any of our cottages with friends directly from our website. This makes it easy to share with all members of your family or group. We work hard to provide good photos that properly represent the cottages and write-ups that try to provide you with details about the property to assist you with making your choice. We are always happy to answer questions by phone or email. Our office is staffed from 9 am to 5 pm EST Monday thru Friday. In July and August our homes are in demand, so all reservations are on a first come, first served basis. The first person to reserve and provide a deposit will get the cottage. Don’t be left out, book early for the best choices. In Prime Season we must book full week stays. In off-season times we can and do offer shorter stays. Our cottages are assigned to specific check in days during Prime Season (Late June to Early September) and are 7 night minimums starting on a Thursday, Friday, or Saturday for arrival and departure days. If you need something different than the assigned day, please call Cottage Connection 800-823-9501 and we will try to accommodate you. Prime season is the third week in June thru Labor Day. II-1. How much does the cottage cost? We constantly compare our services and our houses to others in the area and we feel our prices are competitive and that our service and our properties are an outstanding value for the money. The price of each cottage includes everything except the Maine Lodging Tax (currently 9%), a Reservation Required Fee, and sometimes a cleaning fee. There are no hidden fees. We do offer some Optional Items such as Linen (if not supplied at the cottage), Equipment Rental (Extra TVs, DVDs, Gas Grills), Pet Fees and Departure Cleanings. Note: We also provide boat rentals, concierge services and provisioning as desired by you. We take great pride in not “nickel and diming” people to death….not our property owners or our guests. Here is a breakdown of our fees: Pricing on our official website www.cottageconnection.com is the authority for pricing. The 9% Maine State Lodging Tax is for anyone coming to visit except for working or education. Maine’s lodging tax is low compared to other states. The 11% Required Processing Fee – Cottage Connection of Maine, Inc. offers exceptional service to both Property Owners and vacationing Guests. In order to offer the high level of service that we do at a reasonable cost for all, we charge an additional fee. We have been in business since 1993. Everything has gone up but the price of fuel for our cars. We have a short season here on the Coast of Maine. We want to be able to provide great service and this fee allows us to do so. Linen rental and Cleaning fees may also be additional. Some cottages include them and some do not. When you reserve the cottage, the booking page will indicate if these fees are necessary. Otherwise, they are included in the rental rate. Prices are subject to change without notice. You will be charged the rate in effect at the time of your booking. Our cottages appear on several websites which may or may not have the most up to date pricing. We only honor the pricing on our website. See below. We advertise our properties on many other websites, such as FlipKey, TripAdvisor, and HomeAway etc. Because these sites do not always update information about our properties in real time, Guests should always reviews our Official Listing on our website: www.cottageconnection.com. This website will have the most up-to-date information about a property. We will always honor the pricing on our website, but not on others. II-2. Why do I have to pay the full amount so far in advance? When we take your reservation, we are guaranteeing the owner full payment for that time period. Our season is very short, less than 12 weeks, compared to other parts of Maine and the United States. The owners count on this income to assist with paying for upkeep and taxes. II-3. Do you offer discounts on cottages? We DO NOT offer discounts on our properties. In the pre- (April, May, June) and post- (After Labor thru Mid-October) season times the rates change and shorter stays are permitted. Please keep in mind that expenses remain the same or go up with larger heating bills during these time periods. Prime season is the third week in June thru Labor Day. Cottage rentals during prime season are rented for 7 day minimums and at rates that are competitive and a great value. II-4. Am I Charged A Security Deposit and A Damage Waiver? No, it is one or the other but not both. Part of the Required Fee includes our Damage Waiver protection plan. This covers up to $500 of accidental damages to the property. This is in lieu of a traditional “security deposit”. However, some properties do require a traditional security deposit in lieu of a Damage Waiver. The Credit Card Hold that we require means that you further accept our terms to take proper care of the property while you are in possession of it. This valid credit card is kept on file as a guarantee for negligent damages to the property since, except in a small number of cases, no security deposit is required. This card will be used for any additional services you request or any charges that appear for long distance phone calls or charges to cable or dish bills for paid movies and events and damage beyond normal wear and tear during your rental period. We never charge a credit card without a conversation with you first. Damage not reported will be billed. As stated in our Rental Agreement. The Accidental Damage Coverage does not cover pet-related damage. Renter must notify Cottage Connection at once of any damage during occupancy and submit a written report or the Accidental Damage Coverage is null and void. II -5 What method of payment is accepted? We prefer checks but do accept major credit cards (Visa, American Express, MasterCard and Discover), cash, personal checks, cashiers/bank checks, and money orders. Reservations made within 60-days of arrival require payment in full by credit card or certified funds. If PayPal or another payment method would be better for you, please tell us and we may add it to this list in the future. II-6 What is the payment process? Those guests who make reservations prior to January 1st have the opportunity to pay with our Exclusive Vacation Lay-Away Program. Making a reservation is a commitment that should not be taken lightly. Our rental season is very short, less than 12 weeks. You need to be sure you are committed to the time period you want so that we do not miss the opportunity to market the property to someone else. If you elect this option, a 25% deposit is required at time of booking and then a payment schedule is set up in the following winter months. Typically, the second payments will be due by January 30th (another 25%) and the balance by March 31st. Reservations made after January 1st require a 50% deposit and the balance by March 31st. Reservations made April 1st or later require payment in full at the time of booking. How About a Gift Certificate! Are you looking for a gift to give someone you love who has everything? How about a gift certificate to put toward a vacation in Maine? It is really a lovely gift! The vacation rental prime-season is so short here (just a few weeks) and our owners depend on their income from the rentals, so we are unable to offer refunds. It is very difficult for us as human beings to hold our ground if you are suffering a family loss or dealing with a difficult situation. At the same time, our business' health and our owners depend on this income. That said, for guests booking more than 90 days prior to arrival, we will refund your money minus the Processing Fee and a $250 Cancelation Fee. Within 90 days you are subject to our cancelation policy which says that if we cannot rebook your time, you will not get a refund. Because of our strict cancelation policy, we encourage our guests to sign up for our Travel Insurance. We offer this valuable service thru CSA. This insurance may provide a refund should you have to cancel your reservation within 90 days of arrival. III. After You Book – What’s Next? After you reserve the cottage a Rental Agreement will be sent to you via email that will require your signature and a list of guests who will be accompanying you; our boat and our pet policy if you are bringing a pet to a pet friendly cottage you will need to complete this section as well. You have 7 days to complete the Agreement and return it to us. Your reservation is not final until we receive your Rental Agreement. Our Rental Agreements are between you and the Property Owner with Cottage Connection as the Agency Representative. Please forward the details of the rental agreement that outlines expectations to your travel companions. You will receive several emails from us. The first email is your confirmation with a link to the rental agreement and attachments which must be completed and returned within 7 days to complete the reservation process. The second email is a payment receipt acknowledging your payment(s). Switching Properties – Can we switch to another Property if our plans change? Switching properties can happen but it is complicated because each property is individually owned and the commitments we make to property owners must be honored. They count on us to market their property for results. In order to switch to another property, we must first cancel your existing rental which is subject to our Cancelation Policy in our Rental Agreement. At that point, you will be hoping that someone else wants to rent your time in your first property so that you can get your money back minus the Processing Fee and a $250 cancelation fee. Until the original property is re-rented and paid for in full, you cannot get your money back. So, if you switch to another property, you may be obligated to rent both at full price. In a good year, we often can re-rent the property but there are no guarantees. We do rent cottages that are For Sale. We make every effort to give you 24 hours’ notice before a real estate broker wants to show the cottage to avoid interrupting your vacation. We identify cottages for sale in the write-ups on our website. If you do not wish to have a broker show the property during your stay, we suggest you pick a cottage that is Not for sale. III-1 Can we come a day early or stay a day late? This is not possible during Prime Season unless the cottage is not rented just prior to your arrival. If the cottage is not rented we will be happy to add extra days to your stay based on the rate at the time. III-2 Am I permitted to have overnight guests? Yes, as long as the occupancy limit is not exceeded and their names are listed on your Lodging Agreement. If parking space is a problem at your cottage, call us to arrange the use of our parking lot for overnight guests. You will receive an email from us about 2 weeks prior to your arrival with information for where and how to check in to your cottage. Please be sure to bring this with you as it will also contain either directions to our office in Boothbay OR directions that will take you right to your vacation home. We feel badly when someone drives all the way to Boothbay, when they could have gone right to their cottage (often miles from our office). If you are on the road and forgot what to do, call us and we will assist you. Please do not use your GPS! It may take you way out of the way. IV -1 When is check-in/check-out? We ask arriving guests who are checking in at our office in Boothbay to arrive no earlier than 4:00 P.M. and no later than 6:00 P.M. on check in day. We need every minute of the hours between check-out at 10:00 A.M. and check-in at 4:00 P.M. to ensure all the cottages changing hands that day are ready for the arriving guest. We ask your cooperation with this by checking in and out at the appropriate times. All Cottages will be clean and inspected prior to your check-in. If you encounter any problems after checking in you only need to contact the office, or if it is closed, the emergency cell phone (207-380-3043) and someone will assist you. IV-2 What is the check in process for cottages in areas outside of Boothbay? If you are checking into a cottage that is in another area, we will email you directions and instructions for checking in; again we ask that you do not arrive earlier than 4:00 P.M as the cottage may not be ready. Your check-in material will be left for you at the cottage. You will be asked to call us 207-633-6545 upon arrival so that we know you made it to the cottage and all is well. IV-3 What if I am arriving after 6:00 P.M.? If you expect to arrive after 6:00 P.M. and will be checking in at our Boothbay office, you must notify our office in advance so that arrangements may be made to accommodate you. Our office staffs want to enjoy their evening too, so please make sure to call if you cannot get to the office before 6 pm. IV-4 How can I get to your area? Maine is the northeastern most state and is a place you have to want to come to. Very seldom do you just pass through Maine on your way to someplace else. Most people come by car. Traveling from most parts of the United States you have to cross into Maine from Portsmouth, New Hampshire. There are other options including the train and the bus. For trains, the Amtrak “Down Easter” travels between Brunswick and Boston. The Bus operated by Concord Coach Lines (1-800-639-3317) is an easy ride from the Boston airport. How far is the nearest airport? Portland Jetport is approximately 1 hour and 30 minutes from the office. Bangor International Airport is approximately 2 hours and 30 minutes from the office. Manchester (NH) Airport is approximately 3 hours from the office. Logan International Airport (Boston, MA) is approximately 3 hours and 30 minutes from the office. We recommend the Portland International Jetport. It is served by many major airlines. Car rentals are available at the airport. You will need to have a car to get around our area. Public transportation is not easy to find or use in most parts of Maine. IV-5 What if I am bringing my pet(s), what is expected of me? We have hosted over 300 dogs a year since 1993. We are pet owners ourselves. We want to remain a pet friendly company and that requires your help. Bringing your dog requires you and your veterinarian to complete a simple form proving that your dog is up to date on all immunizations and is currently and has been (for at least 2 months prior to your visit) on a flea control program. We only permit DOGS at our Pet Friendly Properties for insurance reasons. We do not allow cats, monkeys, snakes, birds, mice, gerbils, etc. There is a nonrefundable Pet Fee of $150 (plus tax) for up to 2 dogs. This pet fee is not a “cleaning charge” and is not designed to cover the cost of extra cleaning. This is an “entry” fee. You must be able to control your dog at all times either by voice or leash. Our area does not have deadly animals but we do have skunks and raccoons. At no time should you leave your dog unattended at the property. There are doggie day-care services in our area, and we are happy to help you find one if need be. Should we receive complaints about your dog misbehaving or barking, you and your dog may be required to leave and all monies paid will be forfeited. Please don’t be offended if we have to tell you your dog cannot accompany you. Insurance companies have rules about the breeds and types of dogs that can be at a rental property. Dog breeds generally NOT permitted in our homes include, but are not limited to Pit Bull, Rottweiler, Doberman, Akita, Chow, German Shepherds and some other shepherd breeds, Bull Mastiff, Stafford Bull Terriers,(or any mix containing these breeds), or any type of wild breed (pure wolf or a wolf mix). We do have concerns about Black Labs and Golden Retrievers and all breeds that shed heavily. In the past, we have seen Guests bring these dog breeds to stay in our rental properties and leave us with a lot of pet hair to clean up. Should that happen you will be assessed an additional cleaning fee beginning at $45 per hour. You will be responsible for everything your dog does at the cottage. You may want to contact your insurance company to inquire about “extended liability coverage” for your dog while travelling. Dogs under 2 may not be permitted. Picking up after your dog is important. Make sure that you toss the waste deep into the woods or bushes surrounding the property or tie in bags securely if you deposit them in the trash cans. If you miss picking up, a $100 fee may be charged. We really don’t want to have to do it for you. If you are thinking of getting a new dog before your rental begins, do not assume we will allow it in your rental property. To review the Pet Addendum to our Rental Agreement, please click HERE. IV-6 Does this cottage have a kitchen? We are not a motor court. Our “cottages” are individual homes scattered all over the Mid-coast. Almost all of our cottages have full kitchens with dishes, glassware, silverware, pots and pans. (We have a couple condos that have mini kitchens.) Because they are all individually owned some are better equipped than others. If you know you are going to do a lot of cooking and require special size pans or need special utensils for cooking you may want to bring them as we cannot guarantee your cottage will have them. All cottages will have a pot for cooking lobsters. Most cottages have a grill, either charcoal or gas. Ask our Reservation Specialist which yours has if it is not listed on the website. All cottages will have a coffee maker. Please refer to the amenities list for that cottage on our website. IV-7 Do I need to bring linen? All cottages will have blankets and pillows as well as quilts/bedspreads. Some cottages provide the sheets and towels, others require you to bring your own or rent them through our linen service. None of the cottages provide beach towels. You should plan to bring those. Dish cloths and dish towels are not supplied either. The Linen Service provides a set of sheets and one bath, one hand, one face cloth per person as well as a bath mat for each bathroom. Linens must be ordered 2 weeks in advance. Please be sure to check with your Reservationist about linens for your cottage. IV-8 What else do I need to bring? Your own life jackets. Even if a home owner is supplying the kayak, please bring or rent Personal Flotation Devices that are fitted to you. Telephone, Now that nearly everyone carries a cell phone, land lines are less common, but many cottages do still have them, hardwired or cordless. Some have telephone bundled in with their cable or internet. Cell phone service can be poor in some areas of the lake region. If it's important to you to have reliable phone service, you should be sure to rent a cottage that has a land line. TV, Most cottages provide some type of TV service. Be sure to check if it is important to have TV Service/Cable. IV-10 Be prepared for anything from rain or fog to sun and high temperatures, including insects and animals. Because of the unexpected changes in weather, we ask you to leave windows closed at the cottage when going off for the day to minimize damage from wind or rain. Rest assured, no matter what the weather, it will surely change from day to day. In the spring and fall, you can expect warm days and cool evenings. In the summer you should expect hot days and warm to cool evenings. We are famous for our summer thunder storms which can be quick and torrential, so be prepared. Most cottages have flashlights or lanterns, but it never hurts to bring your own as well. A Brief Word About Bugs and Creatures of the Wild! We know that many people are not aware that in addition to Mosquitoes, Black Flies, Yellow Jackets, Hornets and Flying Ants, etc. Maine also has Wood Roaches. These Roaches look like miniature cockroaches. These Roaches are NOT spreaders of disease, they do not survive in homes and do not constitute a threat to homeowners or an infestation problem. To do not indicate "dirty" homes. They frequently enter homes that are built in or near the woods. They also survive in firewood piles. So if you see them - Name Them, or Squish Them! During your visit you may also find that you will encounter cute raccoons, squirrels and chipmunks. You MUST NOT feed them. If you do, they will tyry to get into your cottage and cause damage to the screens, doors and window frames and the like. If you feed them, then be prepared to take them home with you. Please honor our special request after you arrive at your property! Your vacation experience is very important to us. If we can fix something to make it better, we will. We want to hear about things that are bugging you AS SOON AS POSSIBLE. If you tell us when you leave it doesn’t provide us with a fair opportunity to exceed your expectations. No problem is too small. Please call us at 207-380-3043. Being Good Neighbors Is Important! Maine is a small town. You are in a community of people that live there all the time, not just for a short weekly vacation but for the entire season or year round. Your vacation is important but so are the rights of the people around you. Please do not do anything to negatively impact your neighbors. Please be considerate. We do not want them to complain to local law enforcement. Maine is a safe place....especially for kids. Do you have memories of Maine as a child? If so, did you ever build a fairy house in the woods, skip stones on the water, water ski or canoe on a lake? Give your kids this memorable experience, shut off the iPads and unplug the TVs and take their cell phones away for a few hours a day. It will be so worth it! They will thank you! V-1 Are guests responsible for bringing/filling the propane tanks on gas grills? No, if you find your tank is empty, please call the office and we will do an exchange for you. Most owners with gas grills leave a spare tank. If you need to hook up the spare tank, let us know so we can exchange the empty one. V-2 Are guests responsible for bringing/providing wood for the fireplace or wood stove? Some owners provide wood at the beginning of the season and when it is gone it is gone; others supply it for the entire season; while others do not supply it all. If you have a question about this, please call the office. Wood is readily available throughout the area should you need to purchase it. Please DO NOT BRING FIREWOOD from home – it is illegal in Maine because it encourages the spread of invasive insects that can destroy forests. V-3 What if appliances and/or utilities malfunction during my stay? Call our office or if it is after hours the Emergency Cell Phone and we will get right on it. We do everything in our power to fix the problem at your cottage ASAP. Please understand that there will not be any refund for these events as they are unforeseen. But our track record is very good. V-4 What day is trash pick-up? Trash is a big deal here. If left outside overnight it can attract animals that make a mess of the yard as they pick through it. It is really important that you follow our instructions for removal. We cannot recycle easily. If you want to recycle let us know and we will work with you to do so. Maine does charge for returnable bottles and cans (read the labels to determine if they are returnable or not). Milk jugs are not returnable. These need to be separated from the rest of the trash and set aside. Trash pick-up days are posted on the refrigerator at your cottage. If you cannot find this information, please call the office ASAP. Many of our cottages have our new Animal Resistant Trash Cans. Want one? Stop by the office. Some of our cottages require you to take your trash to the local transfer station as local trash pick-up is not available. Directions are provided at those few cottages. Failure to follow directions for trash removal will result in an additional charge should we have to send someone to take care of it. Charges start at $45/hour from the time they leave the office until they return. V-5 Where can I rent canoes, kayaks or boats? Visit the About Us page of this website for a list of places where you can rent these items. V-6 Where can I receive packages, faxes or respond to e-mails during my stay? Mail and faxes can be sent to the Cottage Connection office. We will call you at the cottage when packages/faxes arrive. Feel free to stop by the office during normal business hours to check and write e-mails at no cost. UPS and FedEx can use our physical address: 675 Wiscasset Rd., Boothbay, ME 04537. All USPS deliveries need to use out PO Box 655, Boothbay, ME 04537. V-7 How far is the cottage from the water? More than 70% of our cottages are within 100 feet of the shoreline or within an easy walk to the shore. If your cottage is not waterfront, water is just a short walk/drive from anywhere in our service area. We have put information on the cottage web page to show you your options. V-8 Where is the beach? By the time you get this far north, you will find that the glaciers didn't leave much behind. While we have some beautiful long sandy beaches (Reid State Park, Popham Beach and Pemaquid Beach), more typically we have wonderful rocky shoes with seaweed and tidal pools. Small beaches of sand or pebbles are scattered like hidden treasures between the protecting ridges of granite that run down to the sea. There are many public beaches, swim floats, docks. Some are pet friendly. Again, look for this information on the cottage web page on our website. No, for everyone's health and safety ALL of our cottages are now smoke-free. Anyone smoking in a cottage or on the property will be assessed a fee for a professional cleaning company to come in and remove the smoke damage. Fireworks, while permitted in the State of Maine, are not allowed in most cities and towns. We at Cottage Connection and our Property Owners DO NOT allow fireworks at ANY of the cottages. Please respect that. Outside fires, because of fire danger, are not permitted at any of our cottages unless they have an approved fire pit. Please ask if this is important to you. Property owner’s contract with management companies such as ours because they value their privacy and prefer not to be involved with the renting of the property. Please respect this and bring any questions or a request for a future booking directly to us. Refer to your rental agreement for further information on this. VI-1 What is expected of me when I leave? We understand you are on vacation and the last thing you will want to do is clean the bathroom before you leave. What we ask is that you take care of and respect this private family home as if it were your grandmother’s that she let you borrow and leave it the way you found it. We expect you to leave the home and yard free of clutter and trash, the dishes clean and put away and all personal belongings removed including any open food items. (It is OK to leave unopened, non-perishable pantry items.) Our cleaners will sanitize the kitchen and bathroom and mop all the floors, freshen the windows and fluff the pillows. For an additional fee, we offer Departure (End) Cleaning, Mid-Week or Mid-Stay 'fluff' (Hot links to all types of cleaning defined.) as well as Chambermaid Services. Please reserve these services in advance of your arrival to help us with staffing needs. Prices vary depending on the size and complexity of the house. We have allotted a certain amount of time to clean a cottage after a guest departs based on you taking care of the few things we require.. Should the cottage take longer than that you will be charged for the additional time at $45/hour. Garbage bins should be out where they can be easily seen. Trash should always be bagged and placed in trash containers (hopefully, raccoon proof), ready for pick up at or by 8:00 A.M. Wipe out and empty the refrigerator and cupboards of all items brought into the house. Wash and put away dishes. If you start the dishwasher and it is not finished, please leave a note so we can be sure to empty it. Gather all personal items. We cannot be held responsible for items lost or left behind. Items that are recovered will gladly be mailed for the cost of packing and postage. If a special trip is required to retrieve the item, a service charge will apply for the time involved. Items left by the end of September will be given to local charities. Leave all furniture arranged in the order it was found, strip the beds following the instructions for what to do with the dirty linens after you put them in the laundry bags provided. All carpets and floors are to be left “broom clean”. Lock all windows and doors. Turn off all interior and exterior lights. Ensure that if you brought a pet, there is no evidence it was at the property after your stay per your pet addendum. In the cold weather months, keep the thermostats turned on and leave at 55 degrees. Return all keys and linens to our office or to the location specified at your cottage. If you are not required to check out at the office, please call 800-823-9501 to let us know you are departing the cottage so housekeeping can be notified. Report any problems by 10:00 A.M. Failure to report problems will result in a charge to your credit card per our Rental Agreement. Good or bad or somewhere in between, please leave a review of your stay. We care! We will send you a link to our review system shortly after you depart. Thank YOU! VI-3 What if I want to come back to the same cottage next year? Your check-in packet contains a Pre-Reservation Form. Simply complete the form and leave it at the office with a check as you leave. If for some reason you select a cottage that will not be available, our Reservation Specialists will assist you with choosing another property or refund your deposit. VI-4 What if I leave something behind? Give us a call and if we can locate it we will be happy to return it to you for a small fee plus shipping costs. While every effort is made to ensure that all information we provide is accurate, Cottage Connection is not responsible for errors or omissions. We thank you for bringing these to our attention and we will fix them quickly. VI-6 Where can we get the Adirondack Chairs that are at your office? We have some available at our office. Stop by and check them out. They are made from recycled milk bottles. The chairs are available in 15 colors and have matching accessories to go with them (stools, tables, etc.). You can also learn more about them here: Adirondacks. Prices are subject to change without notice. Our cottages appear on several website which may or may not have the most up to date pricing. Pricing on our official website www.cottageconnection.com is the authority for pricing. While every effort is made to ensure information is accurate, Cottage Connection is not responsible for errors or omissions. We thank you for bringing these to our attention and we will fix them quickly.